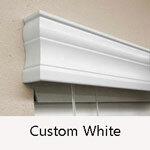 The Deluxe custom faux wood blinds lets you choose a decorative crown valance or a smooth contemporary valance. 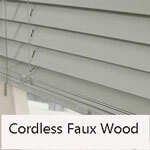 With these 2 inch custom faux wood blinds you also the option of choosing between cord or wand tilt. 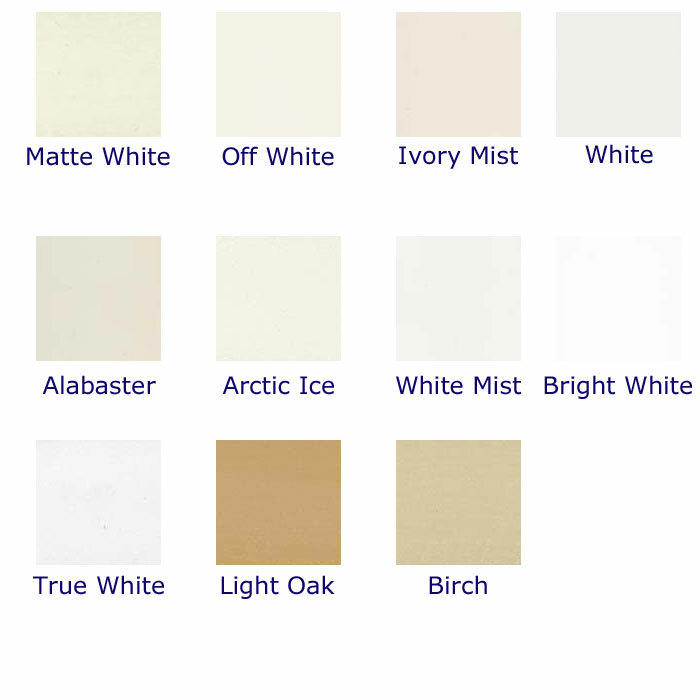 Each of these custom 2" faux wood blinds are manufactured specifically to match your window size in a choice of colors and options. Many colors available. 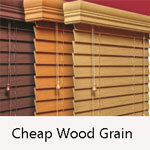 These deluxe custom faux wood blinds are flame retardant and water resistant making them super easy to clean. 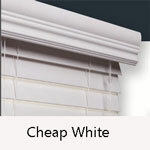 The durable 2 inch slats resist fading and yellowing. 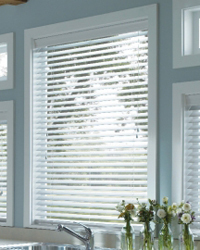 These faux wood blinds are great for high humidity areas, home use and commercial blind applications. 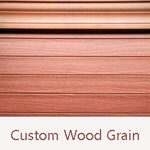 All 2" custom faux wood blinds are made to customers specifications with in ¼" increments.